Do you have an awkward wall that you don't know what to do with? Big or small, Serenity Bamboo from PAINTLESS design can be the perfect solution. PAINTLESS design wall decals strategically creates their designs so that they can be modified to fit any room and any wall. 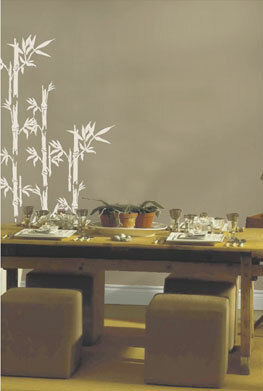 The Serenity Bamboo Wall Decals package is no exception.